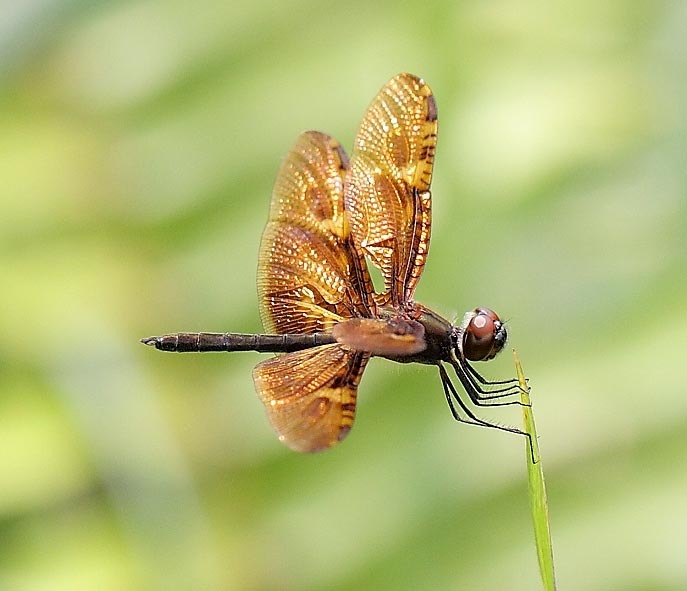 The Bronze Flutterer is an uncommon dragonfly in Singapore. My first encounter of this species is at a large forest pond at the Bukit Timah Nature Reserves. It is a spectacular species which shimmers in it’s bronze outfit under the sun. Other areas which this species can be observed are at MacRitchie Reservoirs and other well-vegetated open marshes and forest swamps. Males and females are quite alike. Eyes are reddish brown on top and light brown below. Thorax and abdomen are basically black. The most unique features is the pair of wings which are opaque iridescent bronze with variegated light and dark markings. 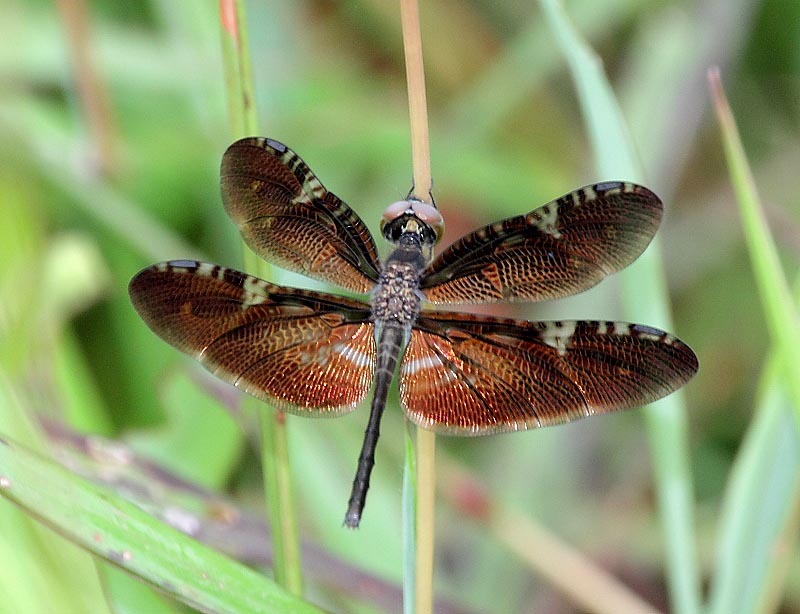 The wings of the female has a clear portion near the wing tips. 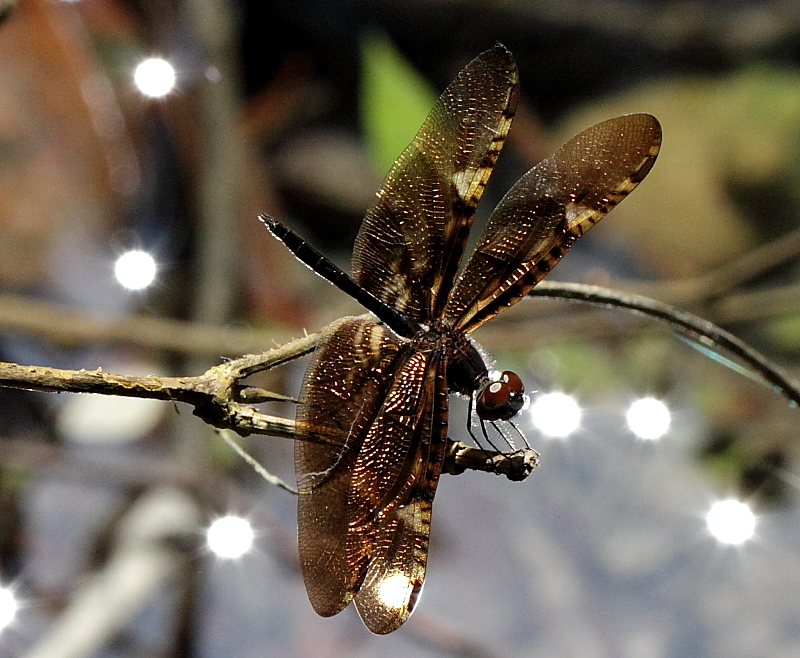 The bronze flutterer is a sun-loving species of dragonfly. 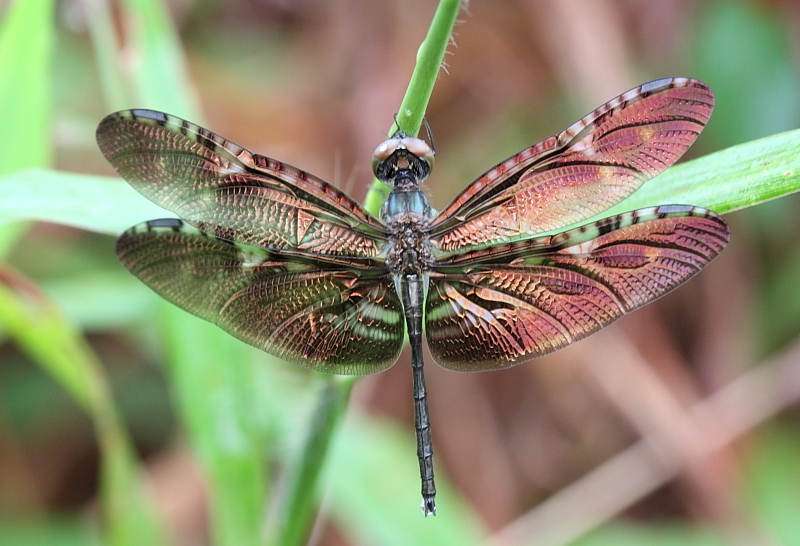 Males like to display it’s well iridescent bronzed wings under the sun.